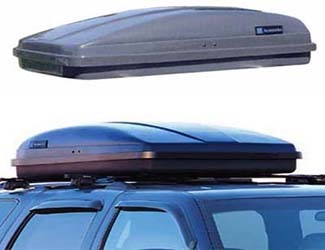 This lockable ABS plastic carrier is the ideal place to store and protect your cargo. Smooth-finish carriers can be painted to match vehicle color. Long hard cargo carrier dimensions are 92inch L x 27inch W x 15inch H. A factory roof rack and GM Accessories utility bars are required. Not for use on vehicles with altered roof lines.